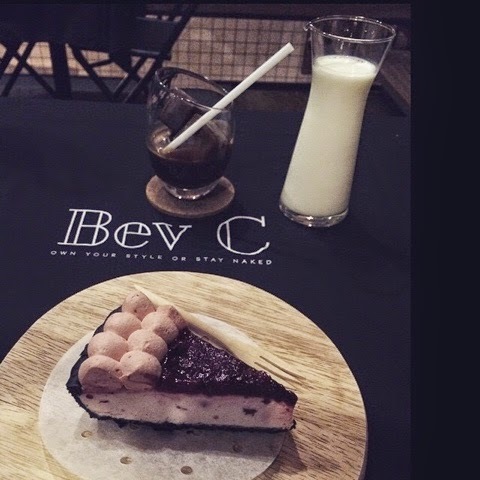 The combination of the special theme cafe and fashion boutique, named BevC, is located at Chinese street, Johor Bahru Malaysia. Well. I would say that this is a place where I can tone myself from the busiest flooded works with the simple orders of their delights (mix berries cafe) and speciality drink of ice cube - chocolate milk. The environment decorated with home sweet home concept with more to western freestyle. The fashion boutique at ground floor and their cafe is location at second floor. Well, the most happening part was the moment I asked for wifi password. One of the staff was told me :" give me five dollar". Immediately, I was stunned @@" but I did not show my reaction. I replied :" yah ???" Below is my best combo, it cost about RM27.70. Is it the theme achievable after visiting BevC?? Feel my style.. or feel to stay naked ?? Hello !!! I can't be naked :( .... So, whatever ^^ I could said I enjoyed their music, services as well as delights.